Ancient Greece is calling your name in this 5 reel slots games from Leander Games. You are on a mission to help centaur Aztar transform his hooves into human feet. An interesting concept isn’t it? And there are some great bonus features along the way. It can be played for free or for real money if you want. But are you brave enough to assist him and fight the wild beasts coming your way? With free spins and wilds up for grabs, you simply can’t refuse. And there are some beautiful graphics to keep you play as well! Check out what more we have to offer on Slotsbaby. Leander Game was founded way back in 2008. In ten years, they have a large profile of fantastic games on offer for you to play. Many of them have been translated into 30 languages so everyone can play High-quality graphics and balanced mathematics is what they know best and with games available across platforms and devices, it’s clear they still have a lot to show us. With strong links with clients, they are able to bring you the very best entertainment around. 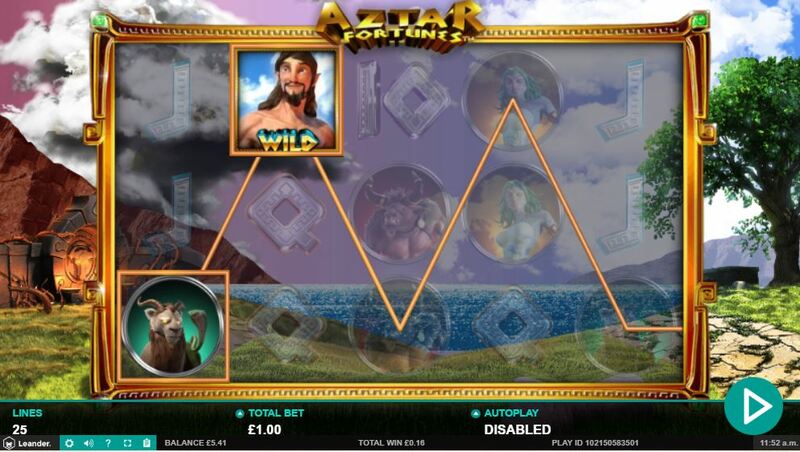 If you love promo's, try new slots with promotion offers today. 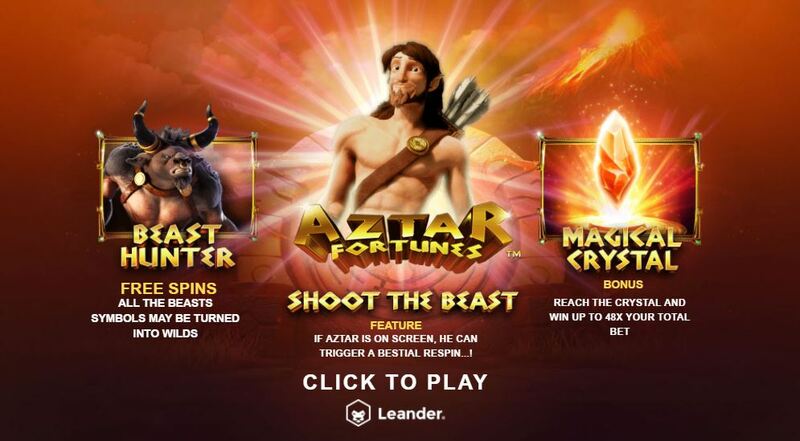 Shoot the Beast: whenever Aztar is on screen during a spin, 1 of 4 beasts could appear. If you manage to kill the beast, that particular symbol is locked on the reels and there is a re-spin. Find Pandora: this is a trail themed mini-game where our main protagonist must find his way through and over obstacles. Beast Hunter: try to kill as many beasts as you can for Wilds and Free Spins as your reward. What’s not to like?